Andaman’s Forest Department is continuing hunt for the crocodile which killed a man on Sunday in South Andaman region. 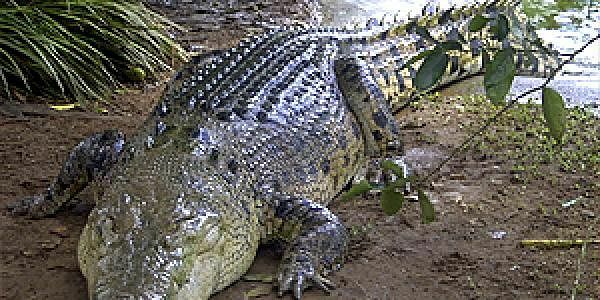 PORT BLAIR: Andaman’s Forest Department is continuing hunt for the crocodile which killed a man on Sunday in South Andaman region. Bishnu Hari Mondal, a 21-year-old labourer from West Bengal, was swimming with his friends at Andaman’s popular beach Wandoor inside the crocodile safety net when suddenly a croc crossed the porous net and took away the youth. The victim’s body was found by fishermen on Tuesday morning floating in the sea between Grab Island and Mahuwadera, South Andaman. Despite laying several traps to capture the killer crocodile, the special team of Andaman’s Forest Department has failed to capture it so far. However, during the ongoing hunt for the crocodile of Wandoor, another 3.8 meter crocodile was trapped from the Wandoor area on Tuesday by the Forest Department. Meanwhile, the district commissioner, South Andaman has sanctioned a relief of `1,50,000 to the family of the croc attack victim. tragic incident and fixing responsibility.